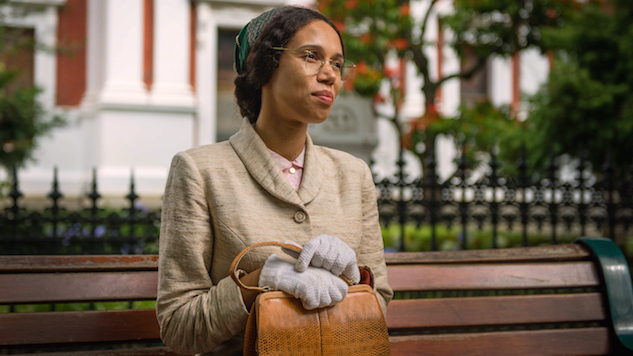 Doctor Who Delivers a Knockout Episode with the Moving "Miss Rosa"
Josh! I had to pause “Miss Rosa” 26 minutes in—at the moment Ryan (Tosin Cole) agrees to pour coffee for Rosa Parks (Vinette Robinson)—because I was so smitten with this episode I needed to tell someone. It’s infectiously funny, with quips about Banksy and the iPhone; it’s terrifically compelling, with a “course of history” plot and outsized stakes; and it’s engaged—with no small amount of depth—in one of the most consequential individual political acts of the 20th century. (Not exactly a ‘safe” episode, huh?) I know I’m new to the fandom, but seeing the Doctor (Jodie Whittaker) and her companions race to protect the birth of the Civil Rights Movement made this episode my very favorite of the bunch, and the first time I think I’ve truly understood why the series is so dearly beloved. Am I crazy, or is this episode a knockout? Can they all be this good? I have a cousin who’s a huge Doctor Who fan. She also happens to be Korean, and a few years ago when Idris Elba’s name was getting thrown around as a potential replacement for Matt Smith, she shared a theory that the show would have trouble with a non-white Doctor because the Doctor is in the habit of taking charge of any situation throughout history. With a sonic screwdriver, a time machine and psychic paper that shows the recipient whatever identification he wants, the Doctor oozes white privilege. And while the Doctor has had black companions before (Martha Jones, Bill Potts), they’ve generally been accepted without much trouble in whatever point in history they’ve traveled. The world of Doctor Who has, for the most part, been an unrealistically colorblind one. But just two episodes into Jodie Whittaker’s reign as the first female Doctor, and we jump right back into an uncomfortable point of history for the Doctor’s companions, particularly a young black man and young Pakistani woman in Ryan and Yaz (Mandip Gill), when the TARDIS makes a stop in 1955 Montgomery, Alabama, on the eve of Rosa Park’s famous refusal to move to the back of the bus. So no, not all episodes of Doctor Who are quite like this, and I’m glad to see new showrunner Chris Chibnall take a risk. It wasn’t a perfect episode, with its impotent racist villain from the future, but the scene where Ryan tries to hand a dropped glove back to a white woman on the street and gets punched for his efforts makes for powerful television. Doctor Who has gone back to visit plenty of historical figures, from Vincent Van Gogh to Winston Churchill, but none quite gave me goosebumps like meeting Rosa Parks and Martin Luther King, Jr.—or even just hearing Yaz talking about being a police officer and wanting to be in charge. Doctor Who can take us to any point in history, and it finally took us to the dawn of the Civil Rights Movement. That it only took Chibnall two episodes to go there says a lot about what we can expect from this new era of Who. I’m looking forward to seeing what’s next. “Miss Rosa” gave me goosebumps, too—though I agree that the villain, whose exact motives I’m still unclear on, swiftly became as much a nuisance to the episode’s construction as he was to the Doctor and her companions. What I most appreciated about “Miss Rosa” is its treatment of Parks’ decision not to give up her seat in 1955 as one with many roots, and many effects, much more formidable than any time-traveling villain (or, for that matter, time-traveling hero) can quite appreciate. The entire episode, after all, focuses on “staying out of history’s way,” preserving something momentous that already happened. From its opening sequence, set in 1943, to Parks’ surreptitious meeting with King, to the recitation of the details of Parks’ daily routine, Doctor Who devotes itself—to an impressive extent, for a 42-minute TV episode—to understanding the long, hard arc of Parks’ anti-racist organizing; despite being a fantasy adventure, the series treats her as a woman of courage and action, not fortune or magic. Coupled with its acknowledgment that racism is the villain that never stops fighting—Ryan and Yaz exchange stories about facing discrimination in multicultural Sheffield in 2018—the episode builds up to that fateful moment with such aplomb that even now, having read, heard, or seen Parks’ story in so many prior iterations, her refusal to give up her seat is utterly riveting. And because I’m the corniest cornball ever to be a TV critic, the accompanying music cue (Andra Day’s “Rise Up”) did exactly what it was supposed to do: I cried like a baby. If Doctor Who keeps surprising me like this, it’ll make me into a diehard yet. As the resident sci-fi/fantasy geek at Paste, I’m thrilled at how quickly you’re getting converted to a Doctor Who fan. And while the facets of the show that have sucked you in aren’t always its historic strengths, there’s a lot that I know you’d love buried in the last 11 seasons (if not the original run). At the very least, it should make for an enjoyable season of back-and-forth reviewing. Just be prepared, as I’ve said before, that its tone can and will shift on a dime. Indeed, upcoming titles like “Arachnids in the UK” and “Demons in the Punjab” almost promise that. I’m going to wager that neither will have you in tears. But for now, we can just give full kudos to the show for wading into moments of import and sentiment and pulling it off with grace. The Doctor is often a witness to history, and I’m looking forward to seeing Jodie Whittaker as humanity’s guardian, particularly at a time when the world is in such deep need of one.